Hellvape HellBeast Tank is made of high-quality Stainless Steel, it comes with 24mm diameter and 4.5ml E-Juice Capacity. HellBeast tank is compatible with Smok Baby beast coils, Vaporesso GT Coils and Nautilus V2 Coil(these coils are not included). W..
Candy Lace - Do Me A Flavor SNV 12ml / 60ml Flavor content 12ml bottle size 60ml We chose sweet tobacco flavors and we combined them with pipe tobacco and topped it off with a helping of chocolate. In the end we got a very full, rich tobacco fl..
Digiflavor Siren 2 GTA-SS 22mm 2ml Siren is a GTA specially made for MTL (mouth to lung) vaping, which provides a closer sensation to smoking cigars and conventional cigarettes. Highly recommended as one of the best MTL atomizers by the vaping com..
eCig Zircon ProCore Atomizer Kit 2ml Originated from 12 signs of zodiac constellations, the ProCore Aries atomizer is the first one that is bold and versatile. 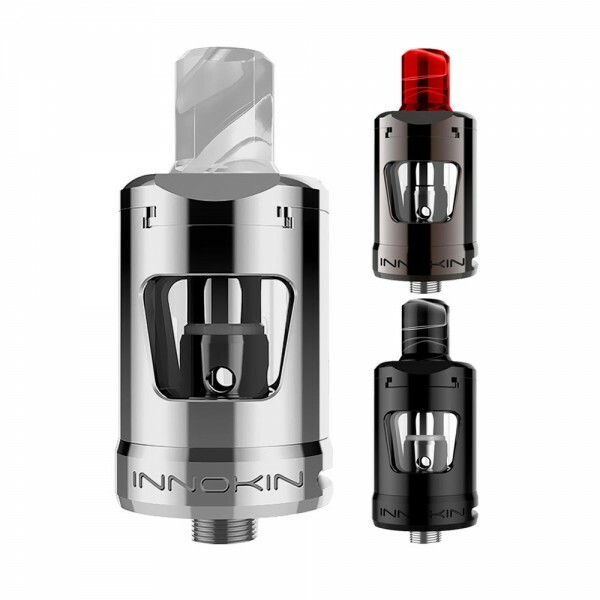 It features an innovative flip type top-fill system, allowing to refill with great ease..
Innokin's Zlide atomizer is an improved version of the well-known Innokin. The colaboration between P. Busardo, Vapin Greek and Innokin proved to be absolutely successful with the Zenith atomizer. Wanting to follow up on this success, Innokin introdu..
Joyetech Cuboid Pro Mod + Zircon ProCore Atomizer 2ml Joyetech Cuboid Pro Mod Introducing the most advanced and powerful box mod with a large 2.4 inch TFT color display. Featuring an easy-to-access menu system on a fully responsive touchscreen,..
Joyetech ProCore Remix 2ml Glass Tube Joyetech ProCore Remix 2ml replacement glass tube Diameter:25 mm Height:11,3 mm ..
La Creme - Do Me A Flavor SNV 12ml / 60ml Flavor content 12ml bottle size 60ml So cool and fresh! A bouquet of citrus fruits combined with spearmint and fruity smoothness. Delight with the first inhale and exhale! A mouthful of taste and an aft..
WaterLoco - Do Me A Flavor SNV 12ml / 60ml Flavor content 12ml bottle size 60ml A crazy vanilla drink with pineapple in a watermelon base. In a shaker, fill it to the middle with rum. Top it off with a crazy fruit mix, banana, pineapple and apr..
Yoberry - Do Me A Flavor SNV 12ml / 60ml Flavor content 12ml bottle size 60ml Shatter your vaping routine with Yoberry! Top up and shake in order to bind the apple and blackberry flavors! The vaping family especially loves the delicious recipes..